Product: Mashers Sekipack 1000ml Round Plastic Disposable Salad/Dessert Bowls with Lids, Pack of 5 was added to cart. 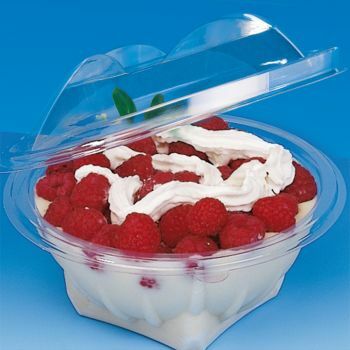 If you are looking for large carry out containers for a salad bar or dessert buffet, look no further than Mashers Round Plastic Disposable Bowls with Lids. Perfect for storing and transporting a range of sweet and savoury treats, they are made from durable food-grade plastics, feature self-sealing lids, and they have a generous capacity of 1000ml, making them ideal for packed lunches, picnics, and everyday home use. While fully disposable, these versatile serving bowls with lids can be washed and reused, so they are a must-have food packaging solution for caterers and party organisers. Mashers, Unit 5 Broughton Road East, Salford, M6 6GL. Packs must be sealed and in saleable condition, please include your order number in the box so we can process your refund. *For hygienic purposes we are unable to return goods which are sold unwrapped e.g. foil platters, foil containers, plastic platters etc.